UCT Ikey Tigers Rugby Club - UCTRFC | THE LEADING CONVERSATION – Live! 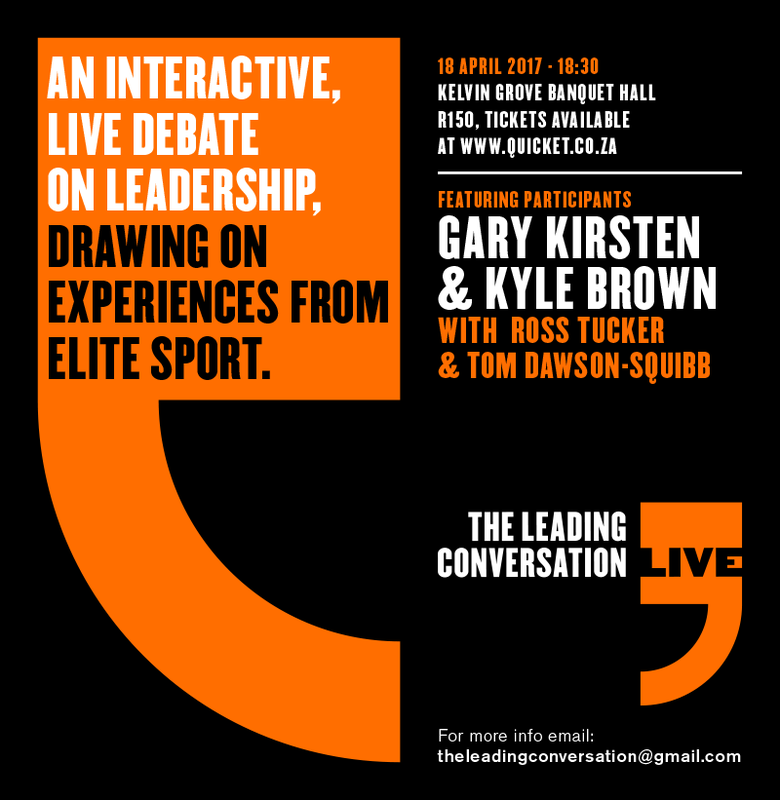 THE LEADING CONVERSATION – Live! You are here: Home / Comments / Comments / THE LEADING CONVERSATION – Live! A move away from the ‘key note’ tradition towards a dynamic, interactive, experiential and collaborative learning experience. Four people from high performance sport debate leadership in the 21st century that will bring about maximum value to the world, in front of a live audience. The Leading Conversation was conceptualised by former UCT performance coach and now coach of the U20 Cubs, as a way of accelerating learning in the space of leading performance. Held privately, these conversations have been fascinating for the simple reason that all attendees have been so willing to share openly and challenge each other to gain the most benefit. Attendees have included Gary Kirsten, Eric Simons, Gary Gold, John Dobson, Hanyani Shimange, Vince Van Der Bijl, Paddy Upton, Ross Tucker, Phato Zondi, Ryan Cook, Grant Hilary and Mich D’avray. The Leading Conversation – LIVE puts these debates into the public domain. Former Proteas and India cricket coach (and former UCT cricketer) Gary Kirsten, former SA 7’s captain and Ikey Kyle Brown together with world renowned sports scientist and Ikey consultant Ross Tucker, join Tom Dawson-Squibb to tackle some tough questions in front of a live audience. This will be interesting to sports lovers, CEO’s and team leaders, but more importantly to anyone interested in bringing about performance within teams.